Every day value is important to our customers. Colonial Spirits offers dozens of your favorite wines on sale in store every day. We also offer a fantastic selection of monthly specials to help you find something new and explore our vast selection. Colonial Spirits is proud to present our fine and rare wine cabinet. Inside, you will find choice wines from around the world. Our wine cabinet has the classics, wine from Bordeaux, Burgundy, Champagne, Rhone, Tuscany, Piedmont and more. We also carry an impressive amount of new world wine, from Argentina, Australia, and the United States. Visit Colonial Spirits of Acton's wine tasting room! In our state-of-the-art wine tasting room, you can sample wine in a relaxed atmosphere. Try some samples. Sit back and watch a sporting event on our giant flat screen television. Talk to our wine experts. "Wine news you can use from the staff at Colonial Spirits." Within the Colonial Crier newsletter, you will find information about, and discounts on, some of our favorite, and often recently discovered, wines. We're also sure to keep you up to date on all our upcoming wine tastings and events. From time to time, a wine, or a wine deal, comes our way that is particularly unique. It may be an exclusive offer, a hard to find vintage, or perhaps a limited release. When these particularly unique wine offerings come our way, we pass them onto you through our Collector's Corner newsletter. Vintage wine is complex topic, but Colonial Spirits of Acton is here to help. We breakdown some of the major wine producing countries and regions and then offer a wine vintages chart with ratings and scores for different countries and years. Colonial Spirits has weekly wine tasting events, where distributors, wineries, and producers stop by to pour new and exciting wines for our customers. We also host special wine dinners on occasion. On Colonial Spirits of Acton's wine blog page, you will find posts from our team of wine experts. Topics range from trends in the wine industry, appreciation for and personal recollections of wine, and debates on the growing and production of wine. 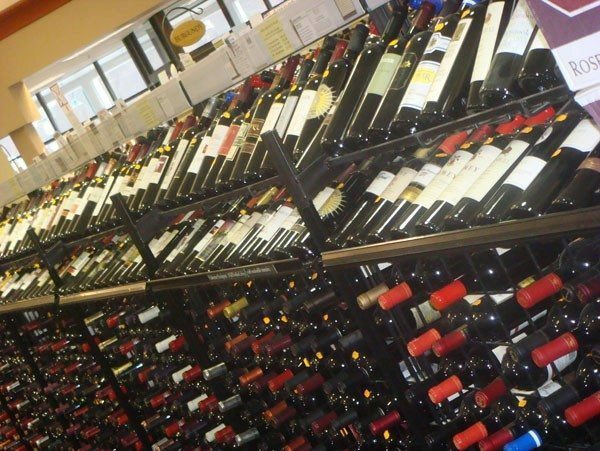 Colonial Spirits of Acton carries thousands of bottles in our wine store, with new wines always being added. Our Acton wine store is second to none, with all the major varietals, as well as champagne, sparkling wine, and port wine. And if you can’t find something on the shelves of our wine shop, we will special order anything that is available in Massachusetts. Just ask any staff member or contact us by phone or email. Leading the way for an Acton wine and spirits store, Colonial Spirits has monthly sales that can't be beat. See our wine specials page for this month's deals. Our store has weekly wine tasting events if you want to sample new and exciting wines. And we are now proud to feature online ordering and shipping from our online wine store! Order wine online with wine shipping to Massachusetts towns and cities. Why shop by the label? Colonial Spirits of Acton offers the use of Enomatic Wine Tasting Machines for our valued customers. We always have 24 different bottles of wine for you to taste at your leisure. Our wine expert, Nic, along with other knowledgeable staff, are available to answer your wine questions. We also have an online wine futures chart to help you learn more about your favorite wines. Check out our wine blog for thoughts and news from our wine team, including specials on wine and information from the vineyards themselves. To place an order electronically, please email our wine manager Nicolay Castro (nicolay@colonialspirits.com), or call 978.263.7775.